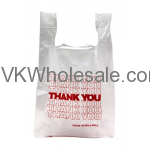 We carry all kinds of shopping plastic bags including regular and heavy duty, plain black and Thank You bags. 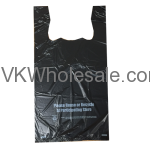 These bags can be used to hold grocery, liquor bottles or any merchandise. C-Store owners, dollar store owners and liquor store owners can take advantage of these low priced shopping bags. 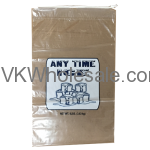 Minimum quantity for "Thank You 10 x 5 x 18 T-Stack Bags 1000 PCS" is 1. 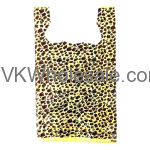 Minimum quantity for "1/6 Heavy Duty T-Shirt Plastic Shopping Bags - Leopard Print" is 1. 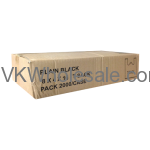 Minimum quantity for "1/6 Heavy Duty T-Shirt Plastic Shopping Bags - Black" is 1. 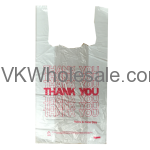 Minimum quantity for "1/6 Thank You T-Shirt Plastic Shopping Bags - Thank You" is 1. 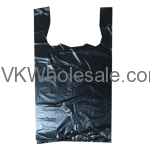 Minimum quantity for "1/8 Heavy Duty T-Shirt Plastic Shopping Bags - Black" is 1.